A new medical trial of an approach to treating the deadly childhood cancer neuroblastoma has recently begun at University College Hospital, London. This trial will involve use of a type of molecular radiotherapy that has not been tested on children before, although it is used to treat some adult cancers. What is the medical condition neuroblastoma ? Neuroblastoma develops from nerve cells and is usually diagnosed in children aged five years and under. 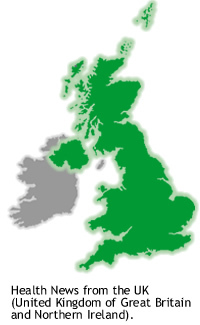 Approximately 100 children in the UK are diagnosed with neuroblastoma annually. According to ten year survival figures compiled by the National Registry of Childhood Tumours, survival rates have increased from around 40% in the 1980s to 60% today. Nevertheless, the Cancer Research UK website indicates that the majority of children have a high-risk form of this disease which is still very difficult for medical practitioners to cure. The treatment for neuroblastoma being evaluated via the current research trial uses radiotherapy via a drug called 177Lutetium-DOTATATE that naturally attaches itself to neuroblastoma cells. 177Lutetium is the radioactive component that delivers a fatal radiation dose to the cancer cells and DOTATATE is a molecule which binds somatostatin, a receptor commonly found on neuroblastoma cells. The combination of the two allows radiotherapy to be delivered directly to the tumour. 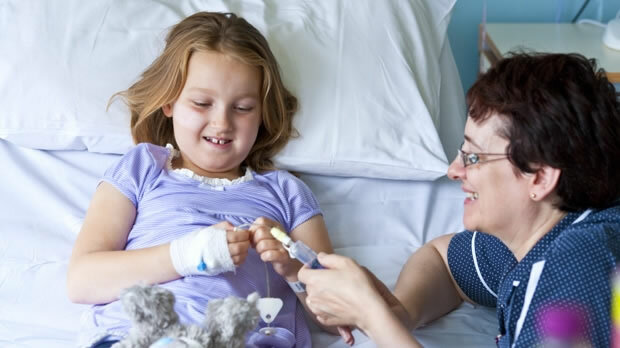 Researchers expect around 24 patients aged between 18 months and 18 years to be treated in the LuDO neuroblastoma trial at University College Hospital, London. The treatment will be delivered directly to the tumour in up to four courses once every eight weeks. This treatment has previously been found to be effective in adults with other types of cancer. This is the first time it has been tested on children with neuroblastoma. Harri Norman from Newport, south Wales, was diagnosed with neuroblastoma at the ago only 2 years in March 2012. He underwent months of treatment including chemotherapy, surgery and a stem cell transplant and was just getting towards the end of his treatment when the family received the devastating news that he had relapsed. In May last year he had to restart treatment. He has been put on the LuDO trial.
" It is terrifying when your child is sick and options start running out, so we jumped at the chance to be on the LuDO trial. Not only does it give Harri the best chance possible, but it also gives hope to other families whose children may benefit from this trial." " For far too long there has been too little progress for the patients I see every week. But in the last year we have finally seen new treatments become available, and new trials have been launched to tackle this terrible disease. We have real hope that this method of radiotherapy may be particularly effective and offer a new treatment option for these children." " Far more work is needed to make improvements for children with neuroblastoma, and this trial goes a long way towards addressing this need. After funding the first phase of this trial, we are incredibly grateful that Cancer Research UK has provided the funds to continue this potentially life-saving work. We will continue to work with organisations focused on treating neuroblastoma to ensure that research continues in the future." " Although three quarters of children with cancer are now cured compared with around a quarter in the late 1960s, more work is needed to discover better treatments. The LuDO neuroblastoma trial joins the BEACON neuroblastoma trial as vitally important steps towards better and kinder treatments for children with neuroblastoma." children given a hormone growth factor alongside chemotherapy for neuroblastoma less likely to suffer a potentially fatal side-effect (July 2010). News is included on the IvyRose website to inform visitors about current health issues, but not to endorse any particular view or activity. Any views expressed in this article are not necessarily those of IvyRose Ltd.. At least some of the material in this news item was released by Cancer Research UK on 30 January 2014 and may have been edited (e.g. in style, length, and/or for ease of understanding) for inclusion here.